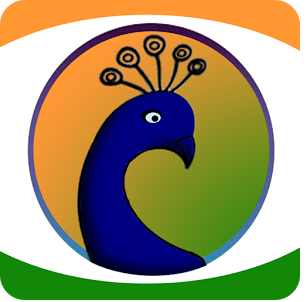 Peacock browser is a free web browser for Android devices, It is the first browser that support most of Indian languages including Malayalam, Tamil, Telugu, Hindi, Kannada, Gujarati, Punjabi, Assamese, etc. 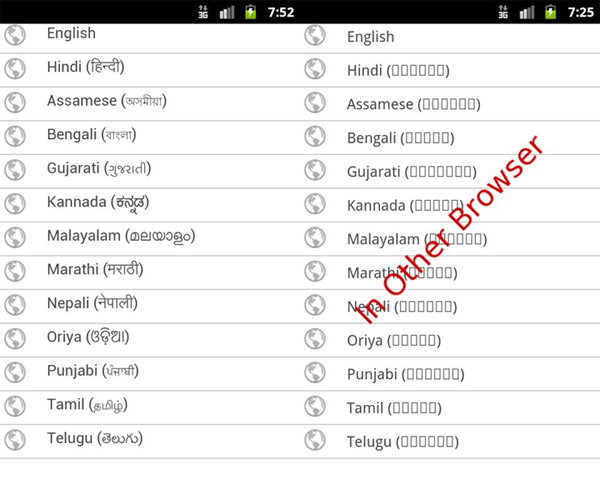 You can easily switch to any available languages you like. This browser also features one click access to your favorite web page from home page. 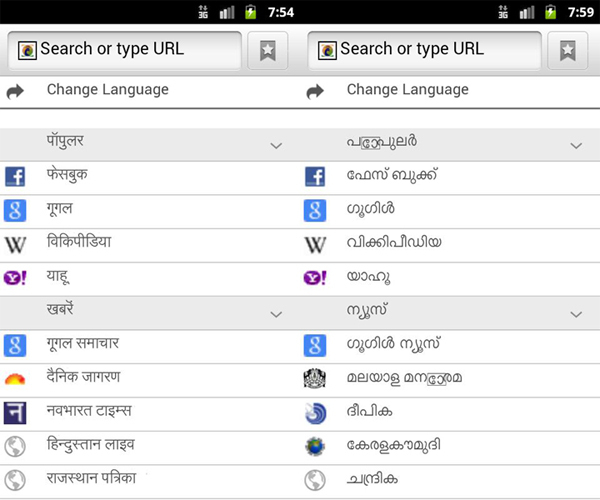 Peacock web browser Runs on Android OS, Download App Now!